We have so much going on this month it is crazy! 3 family Birthdays ( as well as a few more extended family bdays) an anniversary, a wedding, family visiting, and than at the very end the cherry on top, Easter. Last year the kids baskets were practically all handmade with love. This year (probably due to the fact that I am 9 months prego) I'm not feeling as up to making things. That being said when I saw these pretty little eggs on Oh Happy Day I thought simple, fast, and super cute....I can handle that! 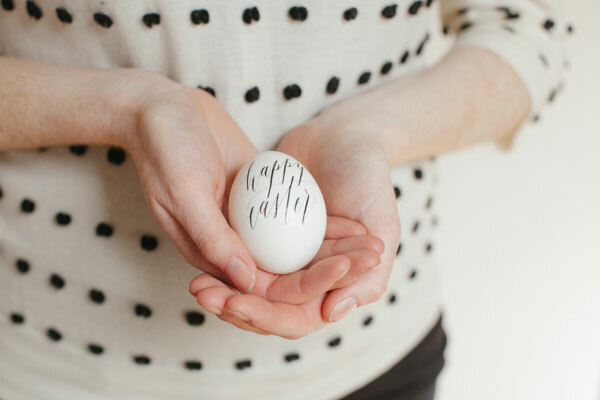 Do any of you hand-make Easter gifts, or is it as simple as a trip to the grocery store?